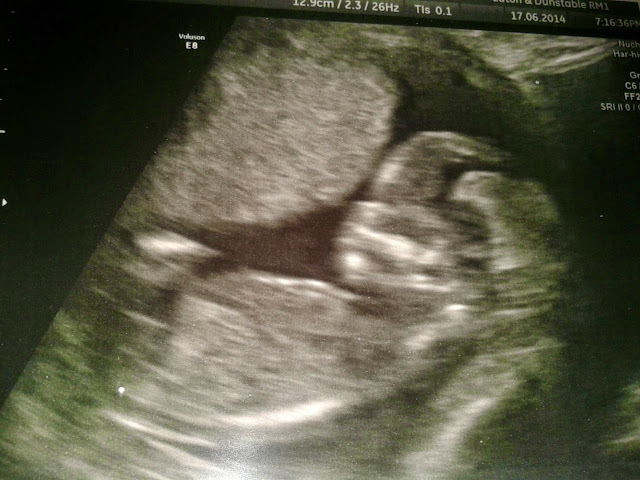 So scan yesterday went really well baby was the wrong way round though to do the NT test still. But after going for a walk and jiggling my tummy a little they turned the right way for measurements and a clear photo. But have been told I am just going to have to have a quad test for the downs syndrome rather than the NT done on the scan. I think our little one was rather comfy though facing the wrong way as they really didn't want to move when being prodded and when I was asked to roll over etc but we got there in the end thanks to the 10 min walk. of pregnancy diabetes. I am hoping that I am not high risk but will have to wait and see, will be glad to just know.